How should agency owners be spending their time? You have one of the toughest jobs in the shop and it’s complicated by the fact that you can rarely get to your own work because you’re spending your days (and nights and weekends) putting out fires. That has to change. 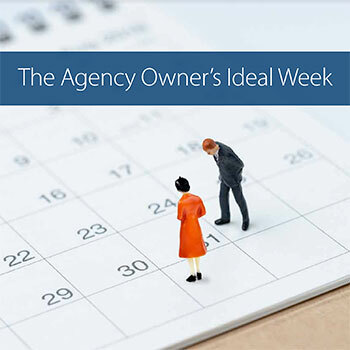 We work with hundreds of successful agency owners and we almost always have to start by re-aligning their day so they can do the work that in uniquely theirs to do. This ebook will walk you through where you should be investing your time and how to begin to make the shift. Fill out our short form to download the 9-page guide.